Trivia Crack is a mobile trivia game released globally by Argentinian game developer Etermax in October 2013. 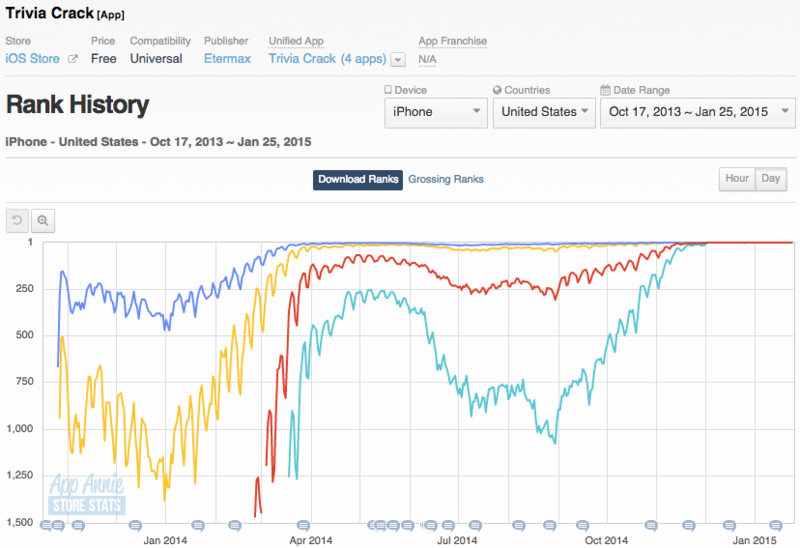 The game suddenly and somewhat inexplicably rose to prominence in the US in November 2014, when both the free and paid versions of the app began swiftly ascending the Top Downloaded and Top Grossing charts on both iOS and Android. As of this writing, versions of Trivia Crack occupy the #1 position of every chart in the US App Store (iPhone): #1 Top Free, #1 Top Paid, and #11 and #12 Top Grossing. Perhaps more interesting to note about Trivia Crack’s impressive and enigmatic viral growth than its speed is the fact that it’s not a worldwide phenomenon; despite being #1 in the US (iPhone), the game is merely in the Top 200 in the UK and the Top 1000 in Germany. What the patterns of these waves suggest is that, similar to real viral contagion, a geographic component influences the distribution of viral apps; while worldwide social networks like Facebook and Twitter allow people to connect effortlessly across borders and oceans, those we’re more likely to share with probably exist within our immediate vicinity. 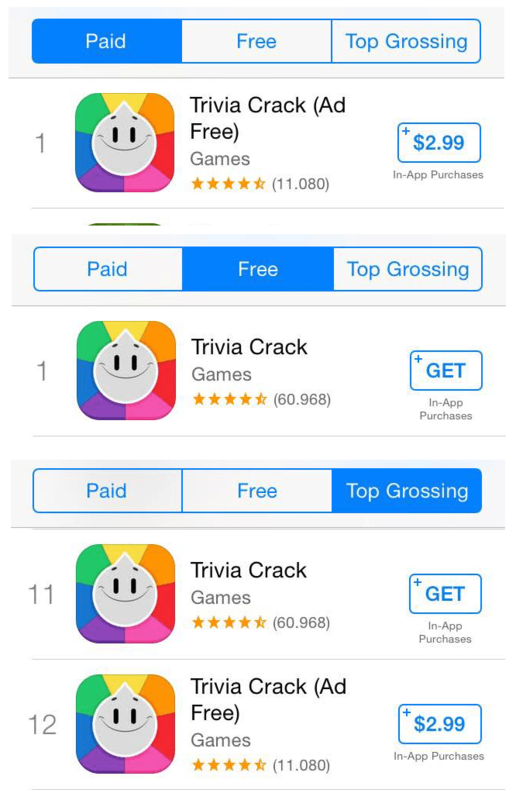 Despite this huge success, Trivia Crack was nowhere to be seen in North America’s top rankings only a few months ago. According to Maximo Cavazzani, CEO of its parent company, Etermax, the US Hispanic community may have been a bridge: “Our supposition is that Mexicans and others initially started playing with their relatives and friends in the US”, he told TNW. 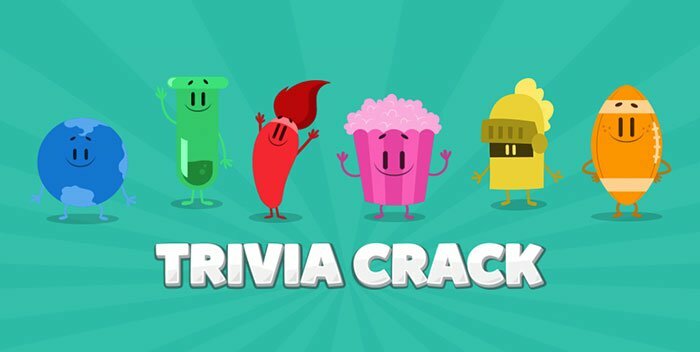 Of course, elements other than geography contribute to Trivia Crack’s viral success: it’s engaging, it fosters a genuine sense of competition, and, perhaps most importantly, the developers have erected an impressive infrastructure for viral growth within the app. 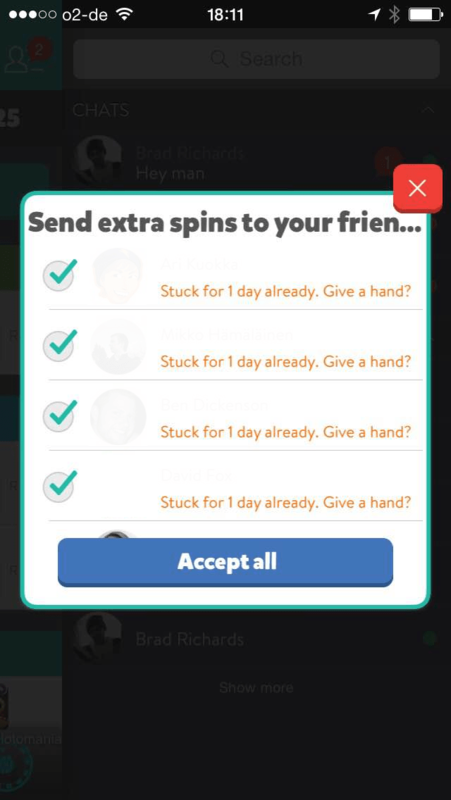 For one, Trivia Crack demands social sharing with almost militant vigor: the game includes all the well-worn viral mechanics of the Facebook gaming generation (mostly provided through Facebook Connect), such as aggressive invitations to share level completion notifications on one’s Facebook feed or the ability to send and request free spins. 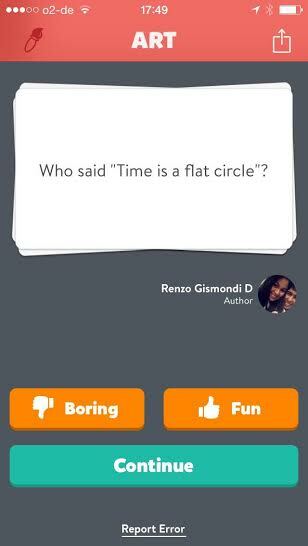 These mechanics are no doubt the means through which Trivia Crack spread virally. Somewhat interestingly, after playing on mobile and connecting to Facebook, the game sends the user a Facebook notification compelling them to play the Facebook version. This might be a retention strategy: a user connected to the game via multiple devices in multiple settings (eg. mobile on the bus, Facebook canvas at work) is probably more likely to continue playing. But many games include social sharing features, and almost none go viral. Likewise, many games are engaging and allow friends to compete against each other, and almost none go viral. What seems to have led Trivia Crack to viral growth, and what would account for the geography-based circulation of the game throughout South and Central America, eventually leading it to the US, is its user-generated content system. Trivia Crack’s questions are user-submitted, and they’re mostly only available for the specific country the submitting user lives in (the game requires users to select this in the first session). 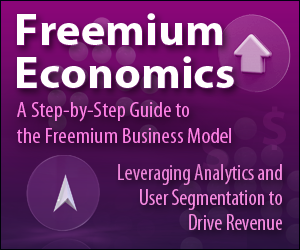 This ensures that questions are not only culturally relevant to the user’s region but also localized and timely. Also, the user that submitted each question (once it is approved and made available to play) gets their name attached to it within the app, cultivating a sense of ownership over the game. And finally, users themselves moderate the questions: after answering a question, users are asked if it was “boring” or “fun” (with sufficiently boring questions, presumably, being pruned from the service). In an interview with Re/Code, Etermax’s CEO claims that 1 million questions are active on Trivia Crack, 50 million are inactive, and 2,000 are added each day.